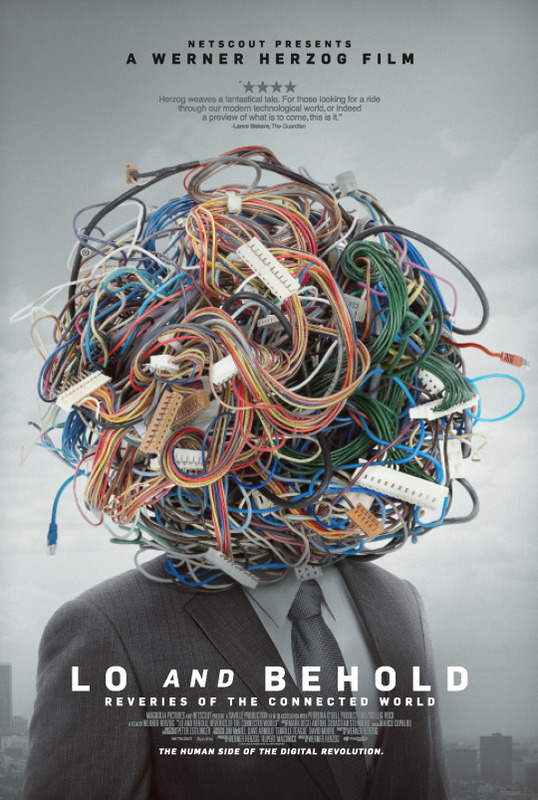 LO AND BEHOLD is Werner Herzog's dizzying look at the Internet and our interconnected world covers a wide variety of subjects and is almost too much to take in on a single viewing. Herzog's look at technology begins at the beginning on the night in 1969 when two computers 400 miles apart spoke to each other. The first message was Lo, then the computer crashed. They had been trying to say log so that one computer would log into the other but the G was never sent. From there the film shoots off to look at all the possibilities and realities of this now interconnected world- both the good and the bad. Its a heady mix that will get your brain going...and make you want to pause from time to time to think about hat you're seeing. And as much as I love the film I really do think the film is trying to do too much in 98 minutes. There simply is too much here including driverless cars, on line courses/games, programming robots, solar flares and their effect on the world, game addiction, the dangers of radiation from cell towers, the end of civilization, hackers and artificial intelligence. There is even more that I didn't mention, so much in fact that I got to a certain point and I just threw up my hands, I was losing way too much because I simply didn't have time to process all that was being thrown at me. Honestly I need three or four more passes through the film in order to fully comprehend it all. I'm sure there are people who are going to go into the film and insist they got it all the first time and I will call them liar. I'm also suspicious of some of my fellow writers ho have written long detailed pieces on the film. I'm certain that any of their long pieces are the result of press notes and cheat sheets, things the average movie goer are not going to have. Personally I don't think it's possible to fully get most of what is being said is interconnected with the film and once you see it you kind of have to go back and see it again to see the connections. Be certain I'm not dismissing the film or even remotely suggesting that its anything less than great, I'm simply saying that Herzog has made a film that assumes his audience has a brain in its head, can actually process a great deal of information and is capable of independent thought. Here is the exact opposite of pretty much every summer film from a major studio for the last 40 years and it's refreshing and utterly daunting, and even exhausting. I know some of you are saying what did I expect from Werner Herzog? Exactly something like this. 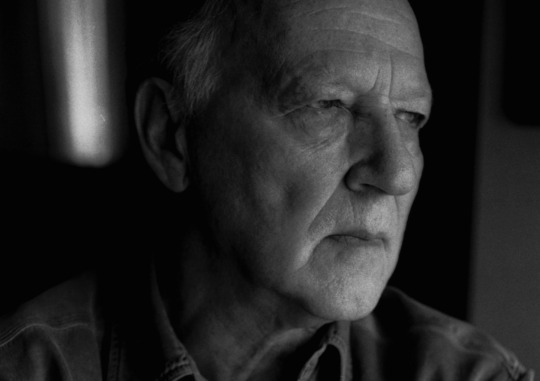 As any long time readers of Unseen Films know Herzog is one of my favorite directors and while he doesn't always turn out masterpieces or documentaries that tell the complete truth (the end of CAVES OF FORGOTTEN DREAMS), he does make films that challenge you, sometimes, like now, where they kick your legs out from under you. LO AND BEHOLD begins begins simply and then gets complicated not in what we see but what Herzog chooses to point out to us. His sly comments twist what we've seen and what we are told in such away that we are forced to contemplate it. We are seeing the world in a new way and it makes you dizzy. I am overwhelmed by the film. That's a good thing and a bad thing. It's good because I know I have to go back and see this film again if only to see what I missed. Its bad because I know that there really is too much here for one sitting, or two, and because I suspect that it may just be a bunch of random pieces too loosely tied together that they are falling out of the bundle, As I said I had to throw up my hands. I really wish I had the film on DVD or Bluray so I could stop and start as I wanted and so I could jump through the film referencing pieces. LO AND BEHOLD is one of the headiest films of the last decade. It's a must see for Herzog fans or anyone who wants to go as far from the multiplex mentality as possible.